Summit Estates is one of the few subdivisions in Breckenridge Real Estate that has an equastrian center on site. Located off Tiger Road just beyond the Breckenridge Golf Club and the Highlands at Breckenridge, Summit Estates offers larger lots for you to build on or play on. Most lots back up to either open space or the national forest offering a wide range of outdoor activities at your fingertips. Some properties have views that stretch over the Breckenridge Golf Club to the Ten Mile Range. While others may have views of the Continental Divide. If you are looking for a subdivision with privacy, acreage but close to the Town of Breckenridge this may be the area for you to start your search for Breckenridge CO Real Estate. There 81 parcels within Summit Estates, currently 61 of the lots have been built on leaving 20 vacant parcels. There are four existing homes for sale in Summit Estates, three lots and one lot with building plans and the cost to build wrapped into the purchase price. 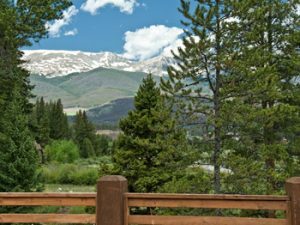 For additional information, and for a complete listing of condos, townhomes and homes for sale in Breckenridge CO Real Estate, contact Justin and Krystal Knott with LIV Sotheby’s International Realty. 2.22 acres in the esteemed Summit Estates neighborhood. Exceptional west-facing lot with mountain views and plenty of sunshine from the South. Views of the Ten Mile mountain range, Breckenridge Ski Area and 27-hole Jack Nicklaus designed golf course. Access to Equestrian Center on Tiger Road. 597773e834e2b59b7e5258d2 2.22 1005109 Breckenridge Breckenridge Listing Summit Turn right onto Tiger Road from Highway 9. Travel ~2 miles to Estates Drive, take a right. Follow Estates Drive for ~2 miles, lot is on your left. 1915 Estates DRIVE summit 1 597773ad34e2b59b293c5162 1 1 1501000486 1500940800 495000 Jack Wolfe 5497802 Active See Remarks S1006099 1003499 1915 Estates DRIVE, BRECKENRIDGE, Colorado 80424 1545340595 LIV SOTHEBY'S I.R. 4 Land 2.22 acres in the esteemed Summit Estates neighborhood. Exceptional west-facing lot with mountain views and plenty of sunshine from the South. Views of the Ten Mile mountain range, Breckenridge Ski Area and 27-hole Jack Nicklaus designed golf course. Access to Equestrian Center on Tiger Road. CO Estates 1915 Summit Estates 1545344281 Golf Course Ski Slopes Woods Mountains 80424 ListPrice 495000 1526939580 495000 1501000680 575000 ListingStatus Active 1501000680 Active Point -106.0085368 39.5203532 ROOFTOP https://s3-us-west-2.amazonaws.com/apiv1.photos.master/fe99-5497802-0-summit.jpg 0 http://s3-us-west-2.amazonaws.com/apiv1.photos.master/fe99-5497802-0-summit.jpg 0 1516391624 https://s3-us-west-2.amazonaws.com/apiv1.photos.master/5cbd-5497802-1-summit.jpg 1 http://s3-us-west-2.amazonaws.com/apiv1.photos.master/5cbd-5497802-1-summit.jpg 1 1516391624 https://s3-us-west-2.amazonaws.com/apiv1.photos.master/d171-5497802-2-summit.jpg 2 http://s3-us-west-2.amazonaws.com/apiv1.photos.master/d171-5497802-2-summit.jpg 2 1516391624 https://s3-us-west-2.amazonaws.com/apiv1.photos.master/f81c-5497802-3-summit.jpg 3 http://s3-us-west-2.amazonaws.com/apiv1.photos.master/f81c-5497802-3-summit.jpg 3 1516391624 https://s3-us-west-2.amazonaws.com/apiv1.photos.master/467e-5497802-4-summit.jpg 4 http://s3-us-west-2.amazonaws.com/apiv1.photos.master/467e-5497802-4-summit.jpg 4 1516391624 1516391624 1516391856 -16.16 1526939580 Aniela Wasmanski LIV SOTHEBY'S I.R.